So for the last month or so, rumors have been going around about the new Avatar series, Legend of Korra. These rumors became much more substantiated when a patent came out describing what appeared to be a live action series. Fans became afraid that the new series was going to become a cheap marketting plan to cash off the "success" of the movie. Nickelodeon has just greenlit a new animated series from Avatar: the Last Airbender creators Michael DiMartino and Bryan Konietzko. According to the network's president, Brown Johnson, the series-- currently titled The Legend of Korra-- will be expanding the mythology of the Avatar franchise, setting it roughly 70 years after the original show's events with a whole new cast of characters. The Legend of Korra follows the adventures of a "passionate, rebellious and fearless" teenager from the Southern Water Tribe, a girl named Korra. Having already mastered three of the four elements (Earth, Water, and Fire), she seeks to master the final element of Air. Her travels eventually lead her to the metropolis of Republic City, an epicenter for the modern Avatar world. Although a thriving society of benders and non-benders alike, Republic City is also ridden with crime, including an anti-bending rebellion that is gaining momentum. Under the guidance of Aang's son, Tenzin, Korra begins her airbending training as she confronts the dangers ahead of her. The Legend of Korra will be produced at Nickelodeon Animation Studios and is expected to begin airing sometime in 2011. "...not only a girl, but also hot-headed, independent and ready to take on the world." Officially awesome. And means M. Night Shyamalan can go shove it. Might actually have to start watching TV again next year. I just hope they're allowed to animate this new show in a similar style to the original and not be forced to use heavy cheap CG. the shipper side of me cries (it's like the harry potter epilogue all over again, GUH ), but other than that i'm actually pretty excited! this could be really awesome, and i like how korra sounds so far. bittersweet ending: episode 24. the angels are gone and mankind is safe... but tokyo-3 has been ruined; Kaji is dead; toji is a cripple; kensuke, hikari, and their families have moved away, taking pen-pen with them; Asuka is catatonic; ritsuko is in prison; Misato is a nervous wreck; Rei is "the third one"; and Shinji is utterly broken psychologically after having to kill the only person who has offered him unconditional love in the course of the whole series. come the movie? don't worry! it gets worse! ~from the source of all wisdom in the world. The plucky female protagonist...how original. More like an Action Girl, really. Better that than other, more unfortunate female character types. Gurl's got muscle, if that's her in the screencap. Yay! More Avatar and I don't mean those big blue guys! The fact that they're going with the "older mentor" angle with Aang's son, instead of making him the plucky protagonist sounds like a good thing to me. 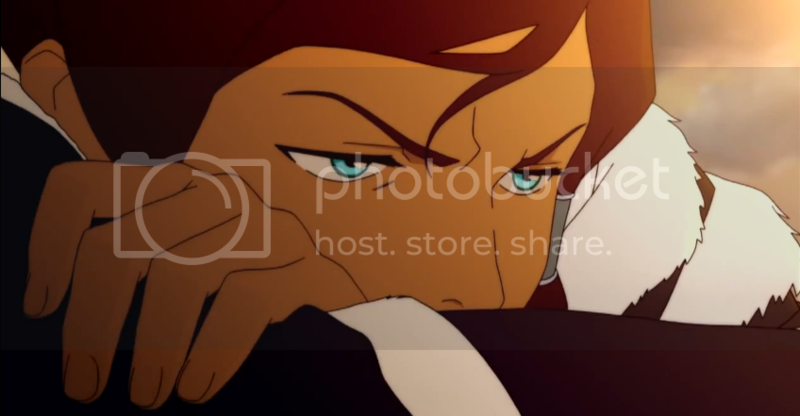 I just hope they can keep from making Korra a Mary Sue. Anyway, YES! I love Avatar, and this will be a must-watch. ^Proof that M. Night Shyamalan from now on should forever stay away from filmmaking. Animation looks amazing! Tone seems pretty cool! World seems nicely evolved so it won't feel too similar to the original show. I don't often watch American TV BUT this will be a big event for me in 2012! Best of all? Korra rides around on a POLAR-BEAR DOG!! From now on I proclaim Polar-Bear Dog the coolest animal hybrid of all time! You know, I've never seen anything other than God-awful that M. Night Shamalamadindong movie. Clearly I need to watch all of the animated TV series before this comes out! How come I'm not surprised that Korra reminds me of Nadia/Asuka. Anyways, this seems awesome. I'm going to watch it. Why does remind me of Asuka so much? The Eyebrows? The trailer is fricking terrific. The animation's looking great, and I am plenty intrigued by the information and sketches they revealed at the SDCC. Toph's daughter in charge of a metal-bending police force? Hell yeah. I expect we'll be seeing a few more female characters as well though, since there's a few names still unaccounted for. 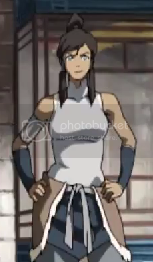 But Korra herself is looking good. I like that smug grin she's showing in a few places. Stryker wrote: Why does remind me of Asuka so much? The Eyebrows? She has blue eyes and looks angry. Aside from that, I've got nothing. BornIn1142 wrote: I like that smug grin she's showing in a few places. That's it! The one thing I truly hope for though is that the series grew up with its viewers. Because that would be awesome. Asuka with kung-fu, magic, and a long-tailed polar bear? Just noticed that the trailer is sped up. Nice! The production value is amazing!! I can't wait to see it! Also, she reminds me more of Misato than anyone else. 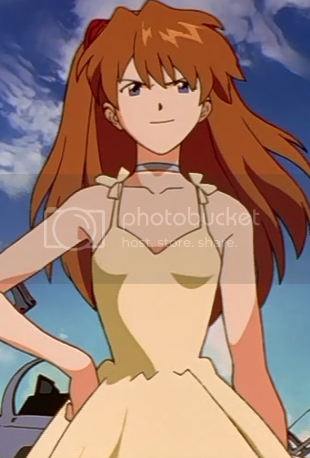 Her looks does seem like Misato, but her psychological bio screams Asuka more then anything, at least to me. Asuka is extremely passionate about piloting, while Misato always seemed that she did it more for avenging her father. She always "shot before thinking", therefore making her a more fearless character then Misato ever was. Sure, she shot a few guys up in EoE, but that would never amount to fighting MPE's with only 60s on the clock. She was very rebellious, especially to Misato. Misato might of questioned some orders, but at points Asuka outright did not follow them (and not for good reason, either). But, that's just why Asuka comes to mind when I see Korra. What motivates you to think Misato when you see Korra. Don't get me wrong, Korra does remind me of Misato too, but I think Asuka a little more. And either way, we both agree on something: they are a little more then remote when it comes to relating to Eva characters. I know what I'm going to watch on TV. The series officially starts airing APRIL 14. I'm so there! Avatar:The Last Airbender is probably the best example of the past decade where American animation told a singular exciting story. It was a storytelling joy akin to The Lord of the Rings only animated. So yeah... the idea of returning to that universe again? I'M THERE! EDIT: The first episode is actually online in a lowres version. And I gotta say I'm liking the tone of this new series. It certainly looks like it will be a more mature series with fewer goofy jokes & hijinks. Though thankfully the hijinks aren't gone in total & the new show feels lively & well written. There's a joke about the story of Zuko's Mother that will have any dedicated fan of Avatar:TLA laughing. The animation feels on par with the original series, perhaps even a great deal more impressive (remember, I saw a lowres version so I can't fully comment) so it thankfully feels in sync with the original show. You could probably watch the last episode of Avatar:TLA (god the four part finale was epic) and jump to this series right after and not feel any unsettling aesthetic differences. I like Korra. She's not wacky & childish like Aang but she's still lively & is gonna be a great addition to this universe. She certainly ain't no personality vacuum like Ong & friends in the Shyamalan travesty. I look forward to seeing how her character is going to evolve over the course of this 26 episode series. The first episode had some wicked action scenes, solid animation, some good world building & we even get to see old Katara. So yeah, all in all, The Legend of Korra looks like it will be the best thing to happen to American TV animation since.... Avatar: The Last Airbender. ...though I have become quite hooked on that Pony show. Lol. P.S. I want a PolarbearDog. For a moment there, judging from the title of the post, I thought this would be all about the sequel to Avatar. TOO SOON. Anyway, Avatar: TLA bringing a spinoff series? FINALLY, SOMETHING TO WATCH ON NICK!